LIVE painting, music, giveaways, complimentary drinks and snacks + MORE! – Pet costume contest starts at 3 PM! PDNB Gallery is proud to announce its second solo exhibition for Elliott Erwitt (b. Paris, France, 1928). The exhibition will cover iconic works from his Magnum years, including his humorous personal work. The 7th Annual Gallery Day will take place on Saturday, July 14th from 12-6 PM. Dallas Gallery Day is now a city-wide, mid-summer celebration featuring the city’s leading art spaces. Afterparty 6-8pm with Tony Schwa, Site 161, 131 Payne St., Dallas. Presented by the West Dallas Chamber of Commerce, the third annual Art Walk West will take place on Saturday, September 16th! The 2017 DADA Fall Gallery Walk featuring over 30 galleries will unfold on Saturday, September 9 from noon to 8:00 pm. 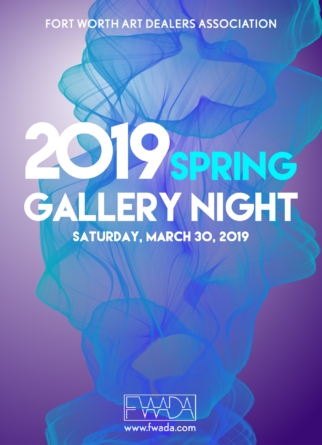 Art enthusiasts, private and corporate collectors, artists, designers and visitors to Dallas can enjoy a full spectrum of gallery openings and special exhibitions. The Fort Worth Art Dealer’s Association (FWADA) invites you to take-in the visual arts and our community’s unique cultural richness during Spring Gallery Night, March 25, 2017. Saturday, April 22 from noon to 8:00 pm. Experience the “Magic” that is Midtown ARTwalk! FREE Admission, Entertainment, and Spirits! I truly hope your holiday season was the best yet. I have excellent news for all the artists. As you know, it’s been in the news about Valley View being demolished. Well, parts of it is being demolished and they did start on the demolition. 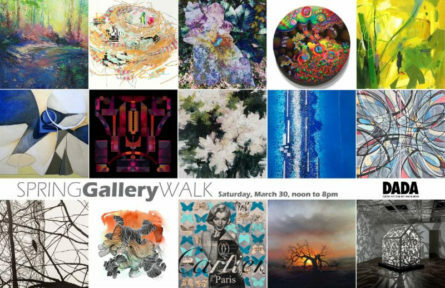 Over 40 Art Galleries Under One Roof! Fall Art Walk Friday, Oct. 7 at Artists’ Showplace! Artists’ Showplace Gallery celebrates the arrival of autumn with an art walk on Friday, October 7, 2016, from 5:00 to 9:00 p.m.
DADA Gallery Walk September 24, 2016 Noon – 6:00 p.m. Check with your favorite gallery for hours. ArtSeen Tour — October 15 & 16 — noon-5pm both days. Experience the “Magic” that is Midtown ARTwalk! Monthly at Valley View Mall on the 3rd Saturday. a good deal more wondering about the results.